We were headed to Akron, Ohio to visit the third and final cemetery of this particular vacation trip. Remember John and Susan (CHAPMAN) EVANS in Niagara county (earlier post)? John’s parents, Lewis and Mary EVANS came to Tallmadge Township, Summit County, Ohio probably before 1840 with John’s sister Mary and her new husband, Philip H. SMITH. One of John and Susan’s daughters also came to the area mid-1860s and another followed sometime in the 1870s. 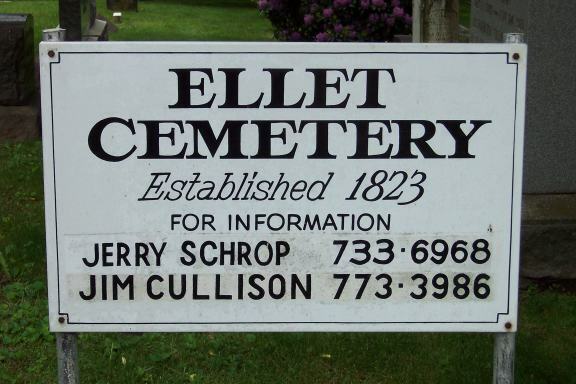 The family plots are in Ellet Cemetery (Springfield Township) in suburban Akron. I had found the information that they were buried there on the internet along with a transcription of every headstone – row by row. I parked the car near the gravestone of someone named Hazel Bryant (not related), thinking that would be a good place to start. With transcriptions printed out and in hand, I looked for row #20. Counting off, I was soon on the opposite side of the cemetery to find out I had counted off from the west border instead of the east. Backtracking, I found myself back at the car and there was Hazel Bryant again at the end of row #20. 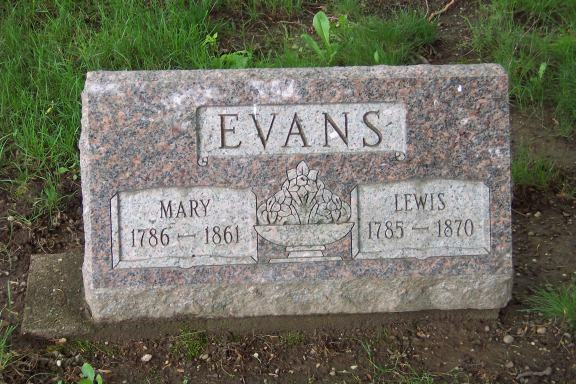 Having met that challenge, I soon found the EVANS and SMITH plot and all the gravestones I came for. I did better than some other headstone hunters we saw there. They were in the wrong cemetery.